Gain actionable insights, deepen partnerships, and unlock the transformative potential of intelligent edge and intelligent cloud solutions at this year’s IoT in Action event series. Rodney Clark is the Vice President of the Worldwide Internet of Things Device Experience and Mixed Reality Sales team. In this role, Rodney is responsible for building Intelligent Solutions, from edge to cloud, with the more than 9,000 ecosystem partners, and driving sales and go to market execution to accelerate partner solution deployment. A 19+ year Microsoft veteran, Rodney has held a number of executive positions within the company including, General Manager of the Samsung Alliance, General Manager of Operations & Sales Excellence for the Worldwide Small, Mid-Market Solutions and Partner Team, General Manager and Global Business Leader for the Worldwide SMS&P Public Sector, General Manager of Microsoft Across America, a Technical Sales and Marketing Evangelism organization. Prior to Microsoft, Rodney spent nine years with IBM in sales, marketing, and management capacities. In addition to his professional career, Rodney is passionate about giving back to his local community. Rodney serves in an advisory capacity to the Board of Directors for the Children’s Museum Seattle. Rodney also serves on the board of trustees of Middlesex school in Concord Massachusetts. Tony Shakib leads Microsoft’s IoT Business Acceleration (IBA) team inside Azure engineering organization and drives the Azure IoT Eco-system and strategic business engagements for top 100 IoT Enterprise Accounts, Partners, Developers and ISV/Startups. Tony is accountable for IoT customer value realization, business development, rapid solution deployment, joint customer GTM programs and accelerating time and process to large-scale commercial deployments. The IBA team focuses on top industries such as IIoT/Manufacturing, Mobility/Connected Vehicle, Smart Spaces/Utilities, Retail, Healthcare, and Agriculture. Microsoft IoT team develops unique IoT/AI/ML technologies and digital solutions for all industries. Microsoft is also the leader in the hybrid intelligent cloud and edge architectures and provides a comprehensive Platform-as-a-service and Software-as-a-service (IoT Central) capabilities for rapidly developing and deploying massively scalable IoT applications. Tony has more than 27 years of business leadership and management experience in the communications space. As Vice President of IoT Vertical Business Solutions for Cisco, Tony led Cisco’s Internet of Things business development, Industrial solutions creation, Vertical thought leadership and customer relevancy across process manufacturing (oil & gas and mining), discrete manufacturing, transportation, utilities, smart city, M2M, retail, and defense verticals. He holds a Bachelor of Science degree in Computer Engineering with honors in Math from McMaster and Brock Universities in Ontario, Canada. Ed is the Partner Director of Engineering for Azure Sphere at Microsoft. Ed's role as architect spans writing core software for the product, authoring software and silicon requirements, and ensuring the end-to-end product meets customer needs. Ed has helped shape and grow the product from incubation to announced product. Ed Nightingale is also a systems researcher and software engineer. Ed has authored papers in top systems conferences such as OSDI and SOSP. He has co-authored 20 conference and journal publications, has won 6 best paper awards, and even helped to set the world record in disk-to-disk sorting (http://sortbenchmark.org). He has also worked as an engineer and as an engineering manager running a large-scale distributed storage service. Ed is deeply familiar with agile engineering software development practices and he really enjoys building large-scale systems. The mission of the Windows IoT team is “Be the platform and service of choice for all device builders”. As the Senior Director for Sales Strategy & Operations within Microsoft’s IoT Device Partner group, Andrew leads both the business transformation plans and also the operational capability development for our fast-moving IoT Device business. In his 17 years at Microsoft, Andrew has held positions in the Enterprise Sales, Enterprise Services, Public Sector, and Marketing & Operations divisions of Microsoft’s UK Subsidiary, and has held leadership positions with worldwide responsibility for sales strategy and execution in both the Small & Medium Solutions & Partners group and the OEM Division. Prior to joining Microsoft, Andrew held a variety of engineering, management and policy-making roles within the UK Government. Andrew graduated from the University of York in the United Kingdom with a Master’s degree in Electronic Engineering. He is a Chartered Engineer and outside work is a keen pianist. 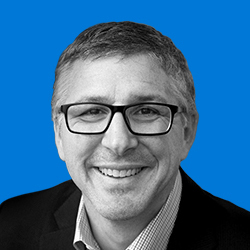 Carl Coken is the General Manager of IoT within the Partner Devices and Solutions organization at Microsoft Corp. His worldwide team is responsible for working with partners to help them build IoT solutions using Microsoft’s Azure IoT cloud services and other products and technologies. Previously at Microsoft, Mr. Coken has held a variety of roles including Sr. Director of Worldwide OEM Server Engineering and Director of Strategic Alliances for the Management Solutions Division where he was responsible for the partner ecosystem for Microsoft’s System Center product family. Mr. Coken brings to Microsoft a wealth of experience in technology marketing, sales, engineering, alliances, as well as mergers and acquisitions. Prior to Microsoft, Mr. Coken held senior positions at SMARTS (a startup acquired by EMC), BMC Software, Inc., Digital Equipment Corp., and Compaq Computer Corp., both now part of Hewlett-Packard. Sarah Maston is a cloud solution architect in the Partner Device Solutions (PDS) IoT Solutions group at Microsoft. She is the IoT Solutions Lead for Microsoft’s Partner Ecosystem in the Americas. She specializes in process architecture and data solution architecture. Prior to Microsoft, Sarah won an Excellence & Eminence Award at IBM for her invention of the Nutrition Graph and an Innovation Award for the invention of Simple Data Pipe. In her 20 year career, she has architected many of the data warehouses out in the world including those at Monster.com, CouchSurfing.com, and Boston Medical Center. Sarah holds a BA in Psychology and Women’s Studies from Boston University. She is a graduate candidate for the MLA in Information Management Systems at Harvard University. Darren serves as Vice President, Cloud at SYNNEX Corporation and has served in this capacity since early 2017. He has more than 16 years of industry experience, 13 of which have been with Microsoft. In his previous role with Microsoft, Darren was a Global Account Director leading Microsoft’s global alliance and partnership with the SYNNEX & Redington Groups. Prior to that role, he led SYNNEX US Surface partner sales and strategy where he was credited with helping launch Surface commercially. He has held several other partner and sales leadership roles during his time at Microsoft, responsible for cultivating and managing the company’s partner channel. Darren is a graduate of The University of Iowa’s Tippie School of Business, and also served as a member of the Board of Directors for Camp Fire Minnesota. As a technology leader with 20 years of experience in the field, Pablo has participated and led numerous web-based and rich client software development projects using a diverse range of technologies. These include custom .NET applications, portals (intranets and extranets including search and social features), custom search implementations, mobile apps, public-facing websites, and cloud-first applications. Through client engagements, he brings gained experience in legal, medical, pharmaceutical, consumer products, retail, manufacturing, energy, financial, and other industries. Pablo has extensive experience with a variety of software platforms, development tools, database products, and agile methodologies. He is a coauthor of SharePoint 2010 Field Guide (a Wrox book) and has hosted many talks for SharePoint Saturday, Code Camp and other events. At BlueMetal, Pablo has led a diverse set of software projects that have enabled clients to make the most of what modern application technology has to offer, while exploring a number of emerging technologies such as IoT, VR/AR on Mobile and MS Hololens devices, along with the application of AI and big data platforms to drive innovative solutions to existing business problems. Most recently, his position is National Solutions Lead for BlueMetal, in charge of bringing new software solutions to market for Insight and BlueMetal. As Senior Director, Cloud Services and Platform, Tom is responsible for leading the Synnex solutions delivery platform for the broad community of Synnex partners, vendors and ISVs. He works to bring together technical experience and sales/partner channel experience together with high-EQ teams that build deep, lasting relationships. With over 25 years in the technology space, Tom is a highly experienced channel sales executive with proven success as a strategic leader in North America, Canada, and LATAM. Prior to Synnex, during his 14-year career at Microsoft, he exceeded sales targets as large as $500M and provided thought leadership and program execution inside Microsoft, and throughout the partner channel. Prior to Microsoft, Tom spent a number of years as a sales engineer and sales engineer leader at Microsoft partners like USWeb and Apptix. He started his career as a custom software developer, building applications and solutions on the Microsoft development platform for Coopers and Lybrand and Plural, a global award-winning solutions consultancy. Tom earned his bachelor’s degree in Management Science/Decision Support Systems from the Pamplin College of Business at Virginia Tech and is active in a number of local/national charities, as well as mentor programs. How do you accelerate IoT and optimize opportunities to grow revenue and profitability? Success in IoT requires a mindset in innovation, in business model and in partnership. Rodney Clark, VP of IoT Sales at Microsoft, will share how Microsoft is enabling partners across the IoT value chain to design, build and scale repeatable IoT solutions from edge to cloud. Explore our Partner IoT Solution Showcase that will demonstrate the strength in innovation the Microsoft IoT Partner ecosystem is driving in key verticals in collaboration with Microsoft partner ecosystem. Thank you to those who attended. Check back soon for our post-event recap and summary. Participating in Partner Matchmaking at IoT in Action events will enable you to build new partnerships, deepen existing relationships, and evangelize your own technology solutions with key partners in the IoT space from around the globe. Our goal is that participants leave with actionable insights around bringing their IoT visions to life, from proof of concept to deployment. By opting in to participate in Partner Matchmaking, your name, email address, company name, your company’s industry vertical, and the industries you and your company serve will be used to help build your user profile in Microsoft’s Partner Matchmaking web application. Your email address will allow us to validate your entry into the system and send you reminder emails and general event updates. You will also be able to opt in to receive a daily SMS alert. Within the Partner Matchmaking web application, your name, company, and industry vertical will be visible to other partners that choose to participate in Partner Matchmaking. If you choose to provide it, a link to your LinkedIn profile will also be visible within the portal. Participating partners will be able to use the application to search for other partners attending the same IoT in Actions events with the end goal of identifying and requesting meetings with those they feel present a business opportunity. Within the application, you’ll be able to set your personal meeting availability, review other partners’ profiles to assess your interest level, and request, confirm, deny, and cancel meetings. IoT in Action events are worldwide, and your user profile will carry over to each event that you attend. We encourage all event attendees to participate in Partner Matchmaking, as it is a unique opportunity to connect with enterprise IoT partners and explore the wide range of IoT opportunities in the Microsoft ecosystem. I understand that these photos or videos may be edited before publishing. I understand that these photos or videos will not be used for other commercial purposes. I authorize the use of these photos or videos, and my image, likeness, and voice included therein, for the purposes described above without compensation to me. I further permit Microsoft to sublicense such rights to third parties necessary for publication on Social Media tools, including Facebook, LinkedIn, and Twitter. All negatives, prints, digital reproductions shall be the property of Microsoft. Microsoft will store any photos or videos in a secure location and only authorized staff will have access to them. Microsoft will keep the photos or videos (raw or edited) no longer than 5 years, per the Microsoft Corporate Retention Schedule for the retention policy for Marketing Materials. 저장된 정보를 전송할 이메일 주소를 입력하세요. 이메일에는 정보 삭제를 요청하는 링크가 포함됩니다.